1979….Lloyd & Nancy Shirley with Steve (9) and Cylinda (5) in a church service on #9 E Street on the island of St. Croix, Leeward Islands. 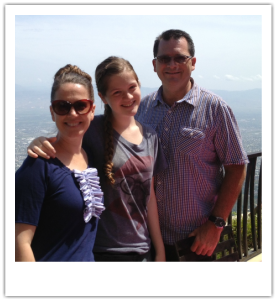 Steve, Kari & Megan Shirley live in Santo Domingo, Dominican Republic and are happily involved in many areas of ministry and service. Steve preaches and teaches, supervises the churches and Bible Schools, as well as hosting visiting groups and constructing new church buildings. Kari teaches in the Bible School and ministers in ladies' and ministers' wives events helping to coordinate conferences, camps and visiting groups & doing whatever needs to be done! Their daughter, Megan was born in the Dominican. She attends a bi-lingual high school, and is a talented, artistic young lady who is a Christian witness! The Shirleys have been privileged to serve as missionaries of the United Pentecostal Church since their appointment in 1988. But their missionary story didn't begin there. Steve grew up as a "missionary kid" in the Leeward Islands, when his parents, Lloyd and Nancy Shirley left their pastorate in Worthington, Minnesota to serve as missionaries in the Leeward Islands. 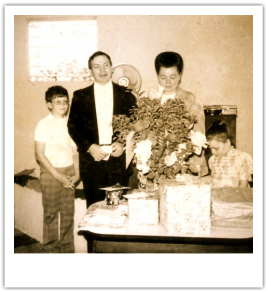 The family arrived on the mission field in 1974, when Steve was just 9 years old. At the age of 17, Steve attended Apostolic Bible Institute in St. Paul, MN where he met his future bride, Kari Montgomery Shirley. After graduation, Steve and Kari were married in July, 1986 and served a 2-year AIM term in the Leeward Islands before being appointed as career missionaries in October, 1988. They served a one year term as Furlough replacements in Puerto Rico and then moved to the Dominican Republic, where they have worked as Superintendent until the present time. In 1999, the role of Field Superintendent of the Leeward Islands was added to their job description. They also currently serve as Area Coordinator of the Dutch & Southern English Caribbean. 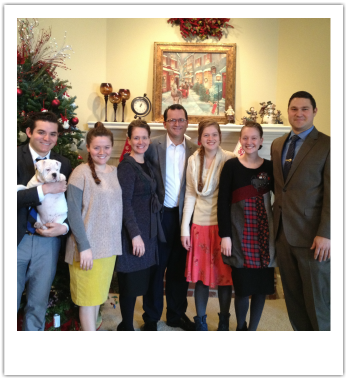 During their missionary tenure, they have been blessed with three beautiful daughters, Kaylin, Kristen and Megan. Kaylin is now married to Jordan Dye and Kristen to Michael Mast Jr. Both couples live in the U.S. and are involved in ministry in their local churches. The smallest member of the family is their ferocious guard dog, Rubio. Rubio, the Chihuahua does chauffeur duty.